These days, compact cameras are struggling against smartphones which have become people’s everyday cameras – always at hand. By the way, we cover our favorite smartphones in another guide. Compacts cameras are starting to loose their appeal, to such an extent that manufacturers of these types of cameras are constantly offering ever larger sensors in order to compete with reflex cameras. These professional compact cameras are perhaps the right answer to competing with smartphones since they easily fit in your pocket. They are often the ideal secondary camera for highly mobile reflex camera owners. And if you have no need for the other features of a very expensive smartphone, a conventional compact camera might be right for you. This guide will hopefully shine some light on the matter. Why buy a professional compact camera? There are three reasons which could motivate someone to buy a compact camera: price, bulk, and ease of use. Compact cameras are the most inexpensive cameras, and most of the time the smallest as well. But, now that smartphones are able to easily take good quality photos and do more than just take pictures – make phone calls, work, play games… – compact cameras need to introduce new capabilities in order to remain a viable alternative. Compact cameras with larger sensors are being developed with the following ideas in mind: better image quality, namely at high ISO sensitivity, a more pronounced depth of field and a wider dynamic range. It is worth noting that the majority of professional compact cameras are able to record images in RAW format, an indispensable feature for taking full advantage of your images – especially during post-processing. In order to differentiate itself from a smartphone, in addition to a larger sensor, a compact camera needs to have a more luminous lens – and not only a wide-angle one. A lens is considered to be luminous when its aperture opening is between f/1.8 and f/2.8. But, very often, the more the lens zooms, the more reduced the aperture opening becomes – f/4 or f/5.6 for example – which means that the lens captures less light. So, pay attention to the lens’s zooming power, but also to the value indicated beside it with an f. The best thing is to have an f followed by a single number, such as f/2.8 or f/4 – which means that the lens operates at a constant aperture opening – or the most restricted range possible, like f.1.8-3.5 for example. A viewfinder (electronic in the case of most compact cameras) is a real advantage that these cameras have over smartphones, since it allows you to photograph, and especially to frame your shot in full sunlight when the display is most subject to reflections. This is good news, and this type of electronic viewfinder is increasingly present on professional compact cameras, as we will discuss in greater detail later on. With all of their various features, some compact cameras approach the capabilities of more elaborate cameras such as reflex and hybrid models – even though this sometimes means that their price is also more “elaborate” and much higher. We will now guide you through our selection of compact cameras which will include the most interesting compact cameras destined for the general public as well as a discussion about the future of bridge cameras. There is one segment of the camera market which has undergone an impressive evolution this past year: large-sensor compact cameras which are able to rival certain reflex cameras. And the selection of good compact cameras is wide ranging! In 2012, Sony released the RX100, a compact camera integrating a 1 inch, CMOS, 20 megapixel sensor, which was the first large sensor to be included in a compact camera. Together with good optical performance, this camera, as well as it successor, the RX100 Mark II, has been a great success for Sony – becoming the reference for small professional compact cameras. The RX100 Mark III makes use of the same 1 inch 20 megapixel CMOS sensor and is equipped with the new Bionz X processor. The camera has a luminous 24-70 mm f/1.8-2.8 equivalent lens with an integrated ND filter and 5-axes stabilization. This version now includes a very high-quality collapsible display (1.44 million pixel OLED) which did away with the seldom used port for accessories. The device is also WiFi and NFC capable and the rear-facing display also pivots over 180°. In summary, Sony, with their RX100 Mark III is offering and excellent professional compact camera capable of producing good quality images, even at ISO 3200. This excellent, pocket-format (305g) camera does however come at a price; the Sony RX100 Mark III is available starting at 698 dollars. Its predecessor, the RX100 Mark II, is not obsolete just yet, and if the newer model’s viewfinder, adjustable display, extra video features and more luminous lens are not indispensable considerations for you, the Mark II is available for the attractive price of 598 dollars. 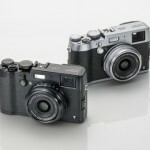 Since the launch of the Sony RX100 Mark III, two new versions have also seen the light of day: the Sony RX100 Mark IV and Mark V. While these versions are interesting, they do not add any really revolutionary features compared to the RX100 Mark III and are being sold for excessively high prices for compact cameras (around 848$ for the Mark IV and 998$ for the Mark V). 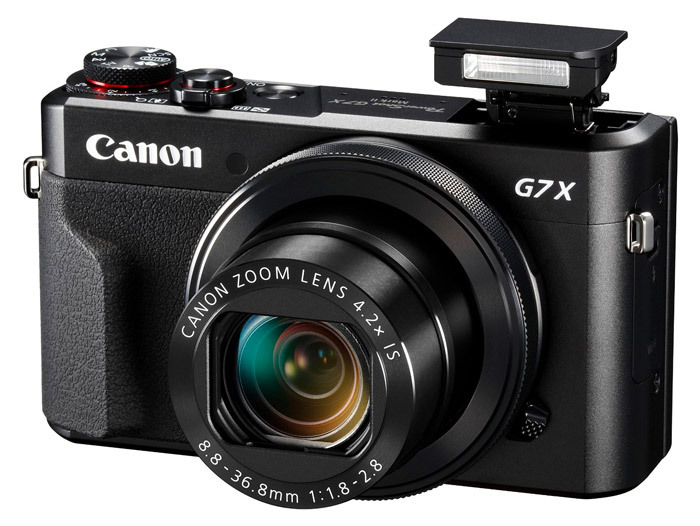 To compete with the success of the RX100 product line, Canon launched the G7X and then the G7X Mark II, a compact camera with almost identical dimensions and weight as the RX100 Mark III. And it is precisely with the RX100 Mark III that it is trying to compete. Equipped with a 1”, BSI CMOS, 20 megapixel sensor and a 24-100 mm f/1.8-2.8 zoom, Canon’s professional compact camera produces great image quality (namely in low light conditions up to 3200 ISO). Its zoom is considerably longer and more luminous than its Sony counterpart. It also has a pivoting touchscreen, an integrated flash, WiFi and NFC capability, but is lacking an electronic viewfinder. Compared to the G7X, the G7X Mark II is more responsive and has better performance thanks to its new DIGIC 7 processor. If we compare Sony and Canon, we could say that Sony wins in terms of brute performance, but that Canon’s camera is well-built and has better responsiveness. Moreover, its price is a little bit lower than the Sony RX100: it can be purchased starting from 679$. Thanks to this last factor, Canon may tilt the balance in its favor. Panasonic’s LX100 is a compact camera that will not fit in your pocket, but which integrates a large 13 megapixel, 4/3 sensor (almost twice the size of the 1 inch sensor on the Sony RX100 Mark III and the Canon G7X Mark II). Its 24-75 mm f/1.7-2.8 equivalent zoom makes it appear more like a hybrid than a compact camera, with a real diaphragm selection ring on the lens and a wheel to choose the shutter speed for manual adjustments. 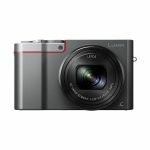 This compact camera also has a handle and a rubber thumb-rest – welcome features for those hours-long shooting sessions. Another interesting thing about this camera is that it is possible to directly change the image ratio on the barrel of the zoom – between 4:3, 1:1, 16:9 and 3:2. The camera is responsive thanks to its GH4 processor. The general image quality is very good despite the camera’s tendency to underexpose images, and this camera is not afraid to increase its ISO sensitivity while retaining very acceptable performance up to 3200 ISO. It is worth noting that while this camera has an electronic viewfinder, it does not have an integrated flash, but it does come with an external flash. The last point worth mentioning is that the LX100 is capable of filming in 4K definition. 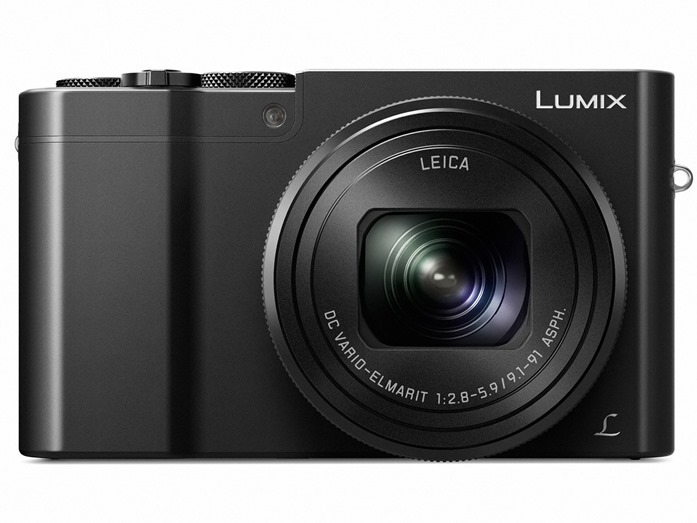 In conclusion, the Panasonic LX100 is a very well-built compact camera which delivers very good image quality. When looking at it, it is easy to forget that it is a compact camera. 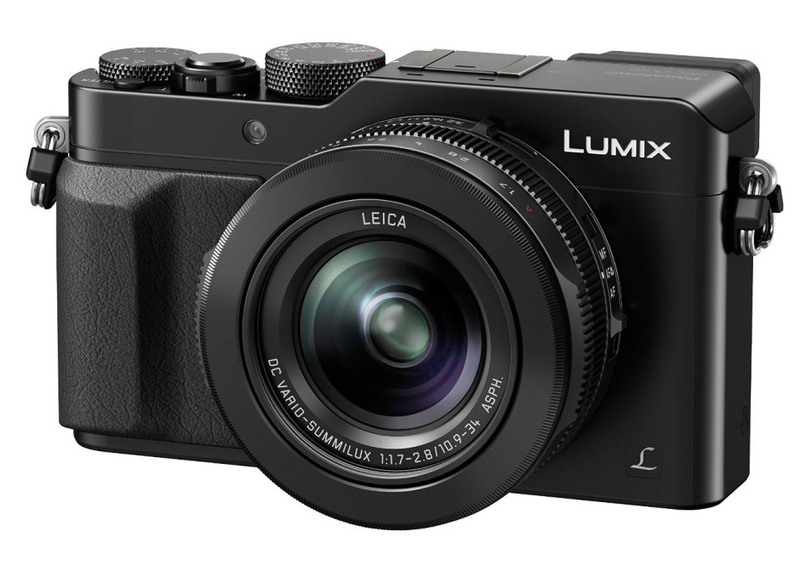 The Panasonic LX100 is available starting at 515 dollars and could perhaps put a dent in Sony’s market supremacy. For those who wish to have a camera with a little bit more zooming power, Panasonic also offers the Lumix ZS100 with a 25-250 mm f/2.8-5.9 equivalent Leica zoom. Less luminous at long focal lengths, it will allow you to capture distant elements, while being very compact and light-weight. 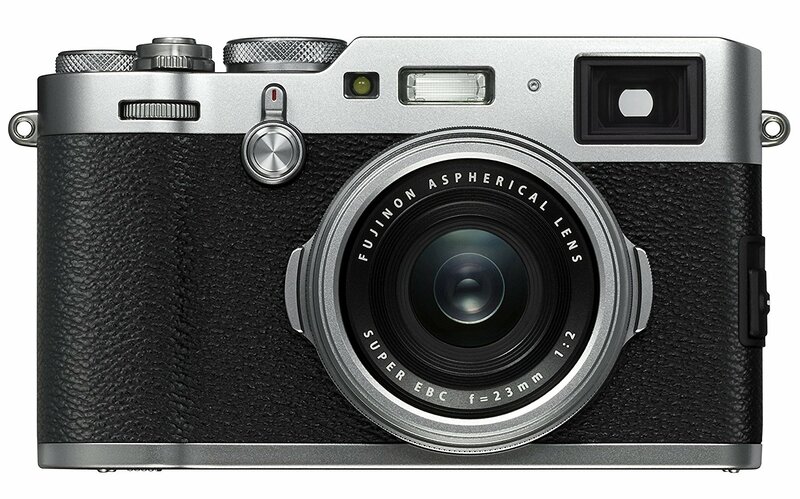 It is however equipped with a sensor smaller than its cousin’s (LX100): 1 inch, 20.1 megapixels. It is also capable of filming in 4K definition, achieving a perfect focus very quickly; it allows you to frame scenes by using its integrated electronic viewfinder (not a “pop-up” viewfinder). Finally, this Lumix ZS100 incorporates the Post-Focus technology which allows the user to change the focal point after the image has been shot via the device’s playback interface. Slightly more compact than the LX100, the ZS100 is a versatile and powerful device and will be a good ally to all those travelers in search of a light-weight camera. 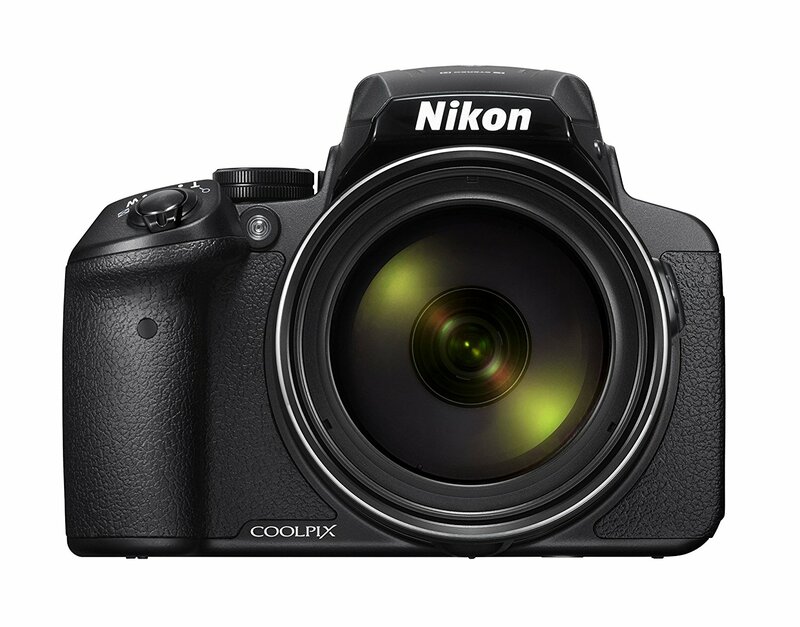 Available for 650$, this version is in the same price range as the LX100. Fujifilm’s FinePix X100F replaces the X100T, an exemplary professional compact camera renowned for its image quality, its hybrid style framing and its retro look. When looking at these two cameras, it is difficult to see any differences apart from some small improvements and changes. 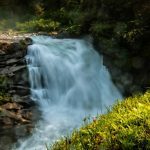 The X100F is more imposing than the other professional compact cameras mentioned above (except for the Lumix LX100) and its slightly protruding handle allows for easy hand-holding. Its hybrid optical/electronic viewfinder allows users to take advantage of the best of both technologies, especially since it shows an enlargement of the zone being focused on in the corner of the display – a very practical feature. The back side of the device has the same ergonomic layout as its cousins, the X-T2 and X-Pro2, with all of the buttons on the right side of the display and an additional collimator selection joystick. The TZ101 uses a new 24 megapixel X-Trans sensor and has a faster autofocus as well as a thumb wheel at the front of the device. WiFi capability is still present, as well as various film simulators. But, where the X100/S/T/F really shines is in terms of image quality: the sharpness and precision of its images is incredible (16 megapixel APS-C X-Trans sensor and Fujinon 23 mm f/2 fixed focal length lens), even when looking at them in detail. This is one camera that is not afraid of cropping! Not to mention the increased maximum ISO value, which can be raised to 6400 ISO while still producing entirely useful images. This is a great achievement and proves that Fujifilm seems to have taken into account user feedback in order to improve its camera. The X100F is compatible with the X100T/S’s converters for transforming the 23 mm lens (equivalent to a 35 mm for 24×36 cameras) into the equivalent of a 28 mm or a 50 mm lens. In our opinion, the Fuji X100F is the compact camera which best blends tradition and modernity for such types of usages as photo journalism or street photography. Currently available from 1299 dollars, the Fujifilm X100F is not cheap, but it is really enjoyable to use, which is always a good thing in photography. 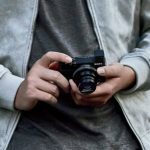 It is worth noting that with the release of this new version, the X100T/S is now being sold for around 1000$ – brand new – and you are sure to find even better deals in the second-hand market. Lastly, if you are looking for exceptional performance within the compact camera form-factor, look no further than the Sony RX1R which has a 24 megapixel full-frame sensor. But, with a price tag of 2399$ it is really only geared towards a niche clientele. Another compact camera which is also reserved for a niche clientele might have been included in this buyer’s guide had its price not been so high. We are speaking of course about the Leica Q (Type 116), the compact camera with a 24×36 mm sensor and a 28 mm f/1.7 fixed focal length lens. Its image quality is beyond excellent, but its 4999$ price tag will make it prohibitively expensive to most people. In the face of the increasing popularity of smartphones, compact cameras are struggling ever more and are becoming marginalized. Their only hope is in becoming a niche product. Certain cameras are fighting back by constantly increasing their number of features or by adopting the features of their rivals (WiFi connectivity, Android system, 4G, for example), others are becoming more specialized. In our opinion this is their only chance for survival. This is the first line of defense of compact cameras. However, few cameras fulfill this need, namely due to their price. Indeed, if image quality is important to you, no camera selling for under 100 dollars is worth buying. And over the years, we have seen that manufacturers have not really been innovating in this segment of the market which is perceived to be doomed in the face of the ever increasing popularity of smartphones. People just seem not to want to have to carry around two separate devices when one will suffice, which is what seems to be happening these days. Despite what we have just said, if you already have a smartphone, a small, affordable compact camera could be a good solution for you. 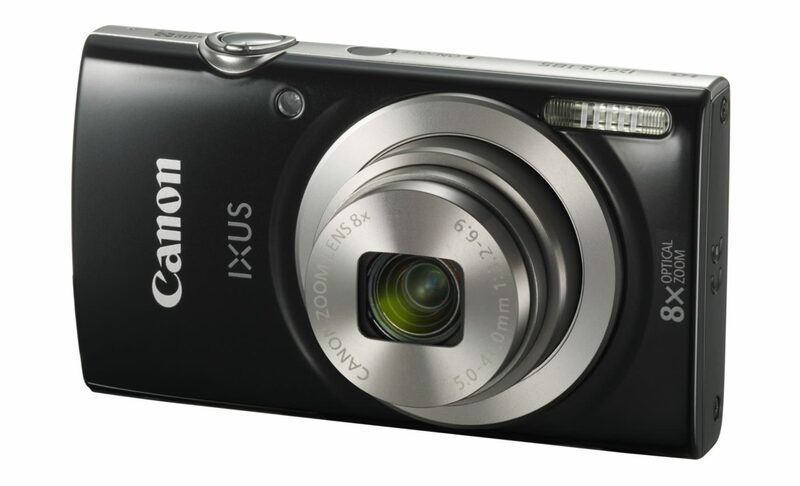 The Canon Ixus 175 seemed interesting to us: it is inexpensive, is capable of recording video in 720p definition, has a 20 megapixel sensor and an 8x zoom. It can be found for as low as 119 dollars, and will be easy to take with you anywhere you go. However, we are not blown away by these, essentially, complimentary cameras. That is not to say that they are incapable of satisfying their users! But, these devices are probably not a good choice for more demanding photographers. If you are interested in a compact camera with a powerful zoom, the Canon SX730 HS might be just what you have been looking for. With its stabilized, 30x, 25-750 mm f/3.2-6.9 equivalent zoom, WiFi and NFC capability and a modern processor, this 20 Mpx compact camera does a good job and produces good quality images. 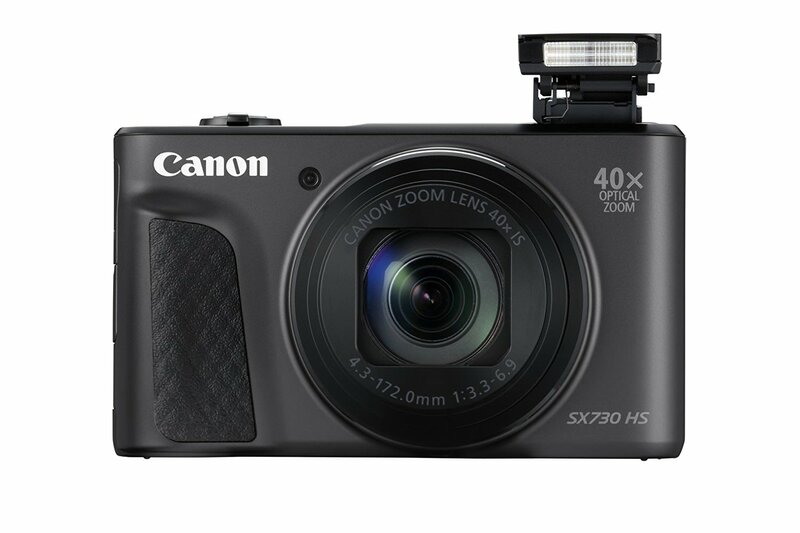 Available from 399 dollars, the Canon SX730 HS is certainly a very good compact camera for those who wish to have a very powerful zoom. It is worth mentioning that the previous version, the Canon SX710 HS is still available at 278$ it has a slightly less powerful zoom, a 25-750 mm f/3.2-6.9 (30x), but has the Zoom Framing Assist feature, allowing you to zoom in automatically when the camera detects the presence of a face. This is one area in which our fragile smartphones have some difficulty! Are you looking for a camera that is not afraid of water, dust or shocks? Do you intend on going on a backpacking adventure and don’t want to have to worry about your camera? Or maybe you just have a clumsy wife / husband / child? The Olympus Stylus Tough TG-4 is the successor to the excellent TG-3 which we were already recommending due to its excellent image quality, especially in macro mode, and its great responsiveness. The TG-4 has the same basic characteristics (16 megapixel sensor, resistant to 100 kg of weight, 2 meter falls and up to -10°C temperatures) and has incorporated RAW format ability. Even if the photos it takes are not always perfect, if you are looking for a tough camera, this one is for you. 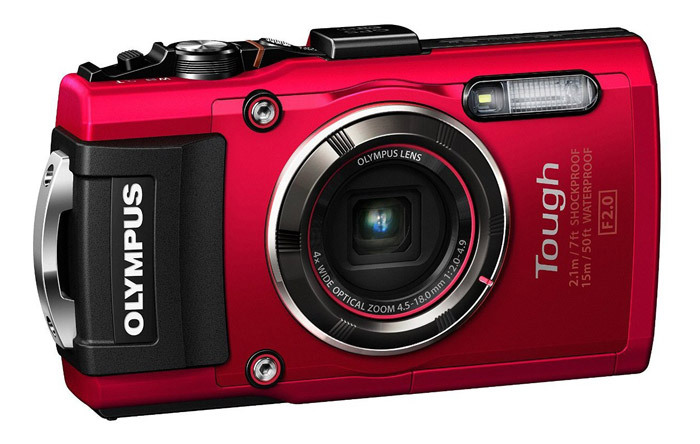 The Olympus Stylus Tough TG-4 is available starting at 409 dollars. A new version, the Stylus Tough TG-5, will be available sometime between now and the end of June 2017; it will have a higher definition sensor, but it will sell for 40 dollars more. In our opinion, this increase in price is not justified, given the limited number of improvements which have been made. Do bridge cameras still have any added value? Bridge cameras, just like basic compact cameras, have been struggling lately. While they offer interesting functionality compared to compact cameras (large zoom, more accessible manual settings, better image quality), they are often passed over for a hybrid or reflex camera which are even more modular. Even though we are not very enthusiastic about these cameras, and we feel that they have an uncertain future ahead of them, the latest models are offering very good-quality lenses as well as ambitious technical specifications. Sony has shaken up the market with its RX10 model. The RX10 is equipped with the same sensor as the RX100 Mark III which we spoke about earlier: the quality of the images produced by its 1” 20 megapixel sensor is comparable to what certain entry-level APS-C cameras can produce. The real difference is in terms of its lens, a 24-200 mm zoom with a fixed aperture of f/2.8: coupled with a tried and true sensor; this lens offers a degree of sharpness previously unheard of on a bridge camera as well as a vast range of focal lengths – beginning at very wide-angle. In summary, this camera is of good quality and well conceived, with a pivoting display and a satisfactory electronic viewfinder. 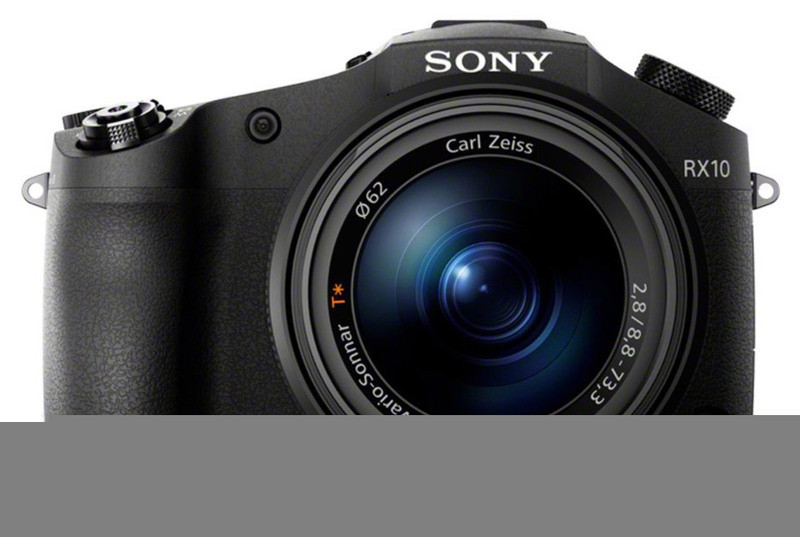 The Sony RX10 is available for around 798$. If you are interested in 4K definition video, the Sony RX10 II, released in 2015, offers a more complete selection of technical characteristics and improved performance, but at a much higher price: it can be bought starting at 1198$. A third version, released in 2016 adds a more powerful zoom capable of attaining a focal length of 600 mm. 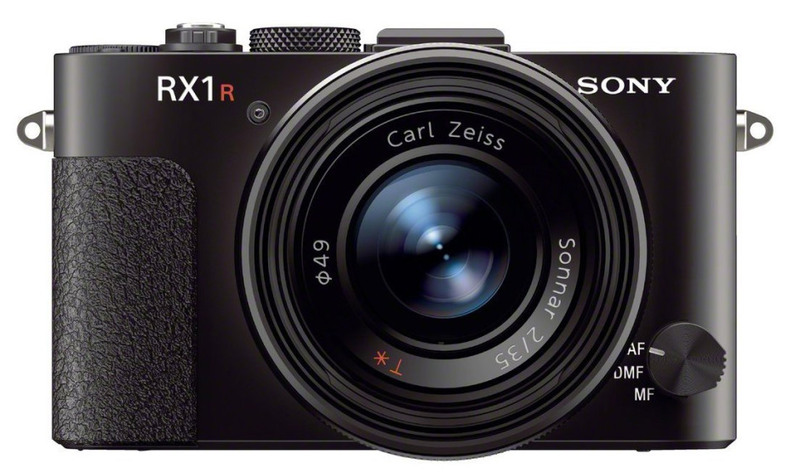 This version is even more expensive: the Sony RX10 Mark III will cost you at least 1398$. This camera is reserved for real bridge format camera lovers. 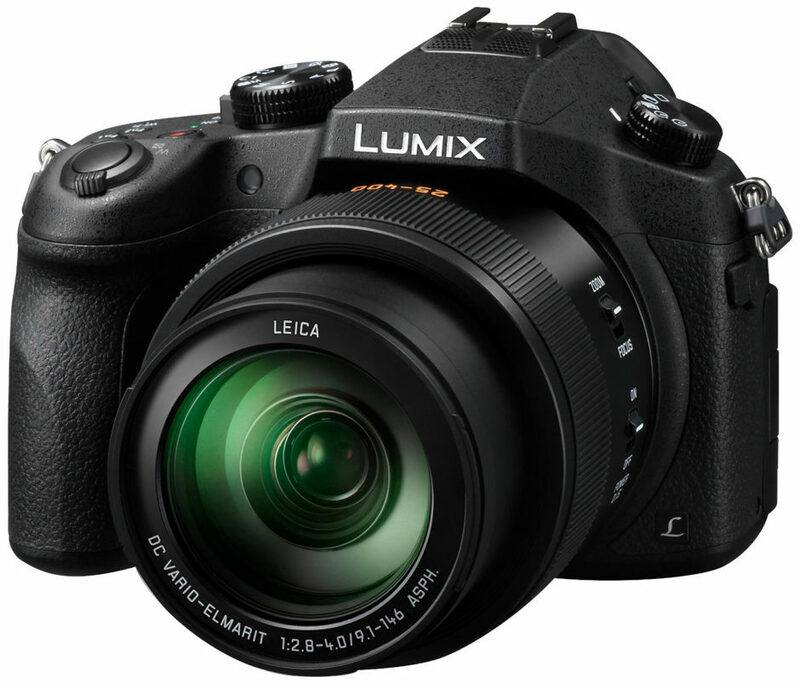 Panasonic’s Lumix FZ1000 was released in 2014 to rival the RX10 (just like Canon rivaled the RX100…). And, its technical datasheet is impressive: 1” 20 megapixel sensor, 25-400 mm f/2.8-4 zoom, large and comfortable EVF, excellent stabilization, burst mode of 9 images/second, 4K definition video in MP4 format. The promises made in the datasheet are kept in real-life performance, making the camera very responsive and capable of capturing good-quality photos and video. This bridge camera reminds us of the smaller versions of Panasonic’s GH4 hybrid which is geared towards video recording. Panasonic has managed to catch up to Sony and it is hard to recommend one product over another given how similar they have become, although, in the end, Panasonic’s camera has the advantage of a more powerful – albeit less luminous – zoom. It can be purchased starting at 798 dollars. Equipped with an 83x zoom, the Coolpix P900 has a simply phenomenal range, with a lens equivalent to a 24-2000 mm f/2.8-6.5 zoom! No, that’s not a typo, the Dynamic Fine Zoom function allows for a magnification factor of 166x, which, according to Nikon, makes it possible to double the optical zoom’s power while maintaining optimal image definition. The camera is equipped with a backlit 16 megapixel CMOS sensor (1/2.3 inch format), WiFi connectivity, GPS, a pivoting display and everything else that a modern bridge camera is expected to have. Available starting at 596$, the P900 might be what you are looking for if you are on a tight budget, but still want a compact camera with a powerful zoom. In conclusion, we do not recommend the Sony RX10, Nikon P900 or Lumix FZ1000 bridge cameras, except for people with certain specialized needs (powerful “one lens fits all” zoom in a single, compact camera). They are very practical for those users who do not want to be juggling different lenses to operate within a wide range of focal lengths. This is the end of our buyer’s guide for compact cameras. I would just like to remind you that these guides are by no means exhaustive, and it is entirely possible for some good cameras not to have been included. This is in part due to an editorial choice, but also to the impossibility of being aware of all available cameras.